To all my home cooks out there – do you ever have those moments where you taste something you make for the first time and its SO good that you have no choice but to unleash the loudest, most passionate, roaring “YESSSSSSSSSSSS” out from the very bottom of your soul? Yeah, that was me a few days ago when these cookies first came into existence, still crumbly and ridiculously aromatic with the oven’s warm breath still lingering on them. But let me tell you, the journey to achieve cookie perfection was treacherous and emotionally draining. If you’re my neighbour, yes, that was indeed me you heard on Friday afternoon shrieking and praying to the good Lord for strength and mercy over a pile of cookie dough and trying to keep myself composed. It’s a habit of mine to dramatically narrate my life via Facebook, Twitter, and Instagram, so if you follow me on either of those platforms, you’ll have seen that I had a series of very misfortunate events rumble and shake my life. First of all, this was my first time using rice flour and I had no idea how light and dusty it can be! I poured a cup of it into my mixing bowl and I kid you not – an eruption of rice flour engulfed about half of my kitchen which led to me frantically clawing at the air in front of me, like I was drowning and choking in the furious depths of the Pacific Ocean… except that I wasn’t. Second of all, I decided that I was too good for measurements and recipes so I completely winged my first attempt at this recipe – which led to my first batch of cookies melting and merging into one big sheet in the oven, as I watched hopelessly and wished upon a million stars that they would somehow fix themselves if I clasped my hands together and wished hard enough. It didn’t work. 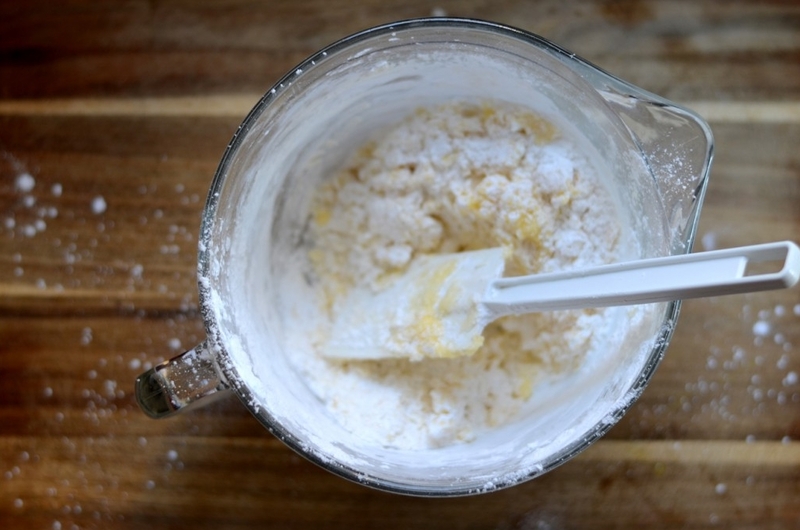 Now who knew you could use rice flour to make cookies?! The only thing I’ve seen it used in was in these little rice balls my mom used to make when I was little. 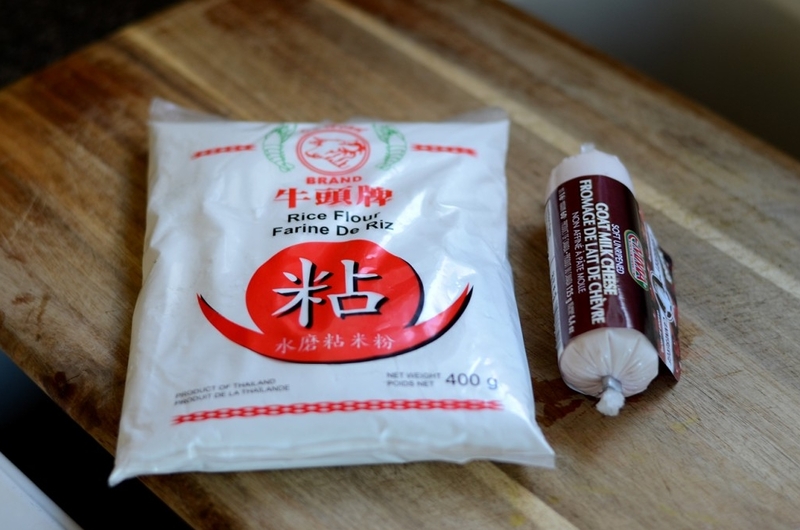 She would scoop out a little teaspoon of red bean or lotus seed paste, fold it into a ball made from rice flour, and cover it in crushed peanuts. It was the most delicious little snack from what I remember, and I kinda wish she still made them once in a while! Also, does it mean that I’m super old now that I can actually tell anecdotes starting with “When I was young…”?! Yikes. 21 and I feel like my life is coming to an end. Well anyways, these guys are completely gluten free, only require a handful of ingredients, and are so so yummy. 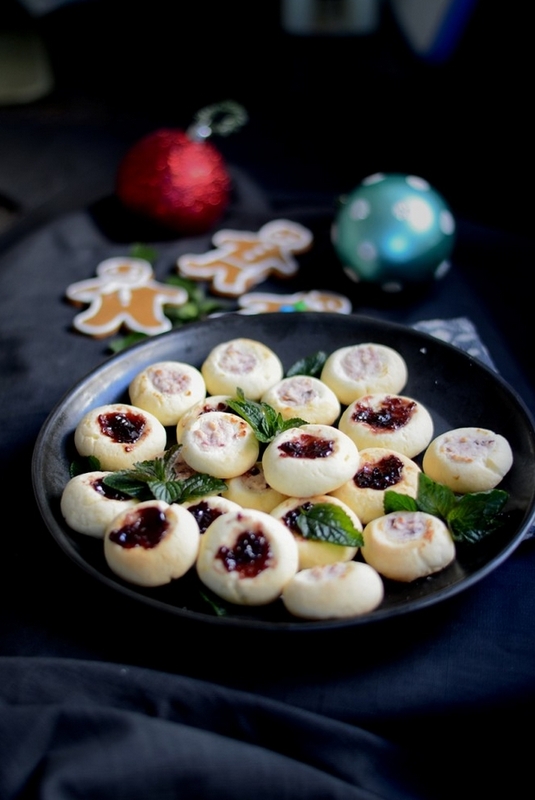 Thumbprint cookies just bring back the best nostalgic memories for me, so it’s only right I pay homage to them this Christmas. 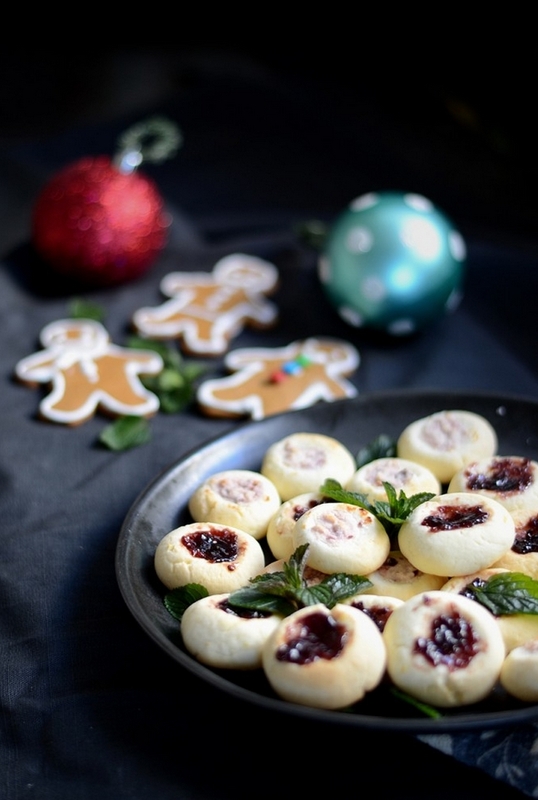 I remember that during the winter holidays when I was in Grade 6, my mom’s friend dropped off a batch of the most delicious thumbprint cookies filled with strawberry jam, and I lived for them. Unfortunately, it was also when I had first got my braces put in, and my mouth was hurting so so bad but I still put up with the pain of eating just because those cookies were the bomb.com. I thought that adding some cranberry goat cheese as a filling would add a great tang and hint of festive sweetness, you know, as a little less traditional twist on a classic. 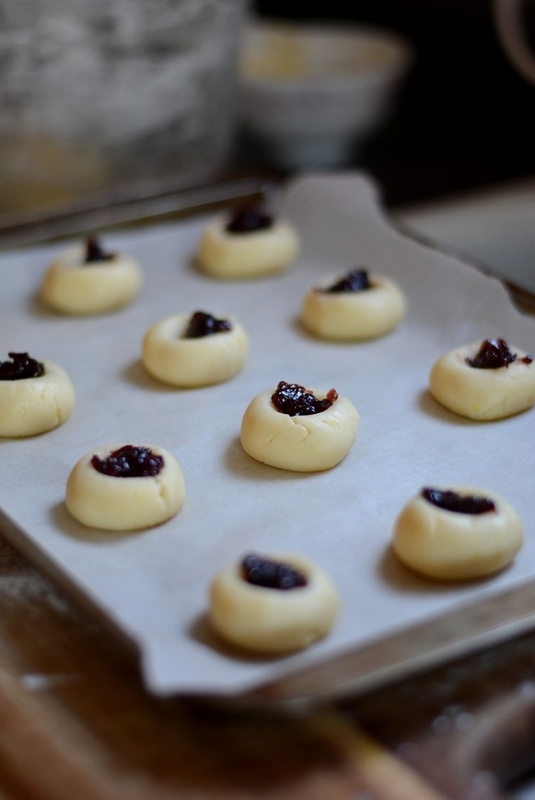 But of course, you could just stick with the classic jam filling as I did with a batch of blackberry jam filled ones afterwards. Right out of the oven, these guys are extremely crumbly, and that’s probably due to the lack of gluten. However, once they cool down considerably, they hold together perfectly well and look like the cutest little things ever! Also, my coworkers loved these little guys when I brought them in, and I don’t think they’d lie to me…. so I’m pretty sure these are a definite must make this holiday season! 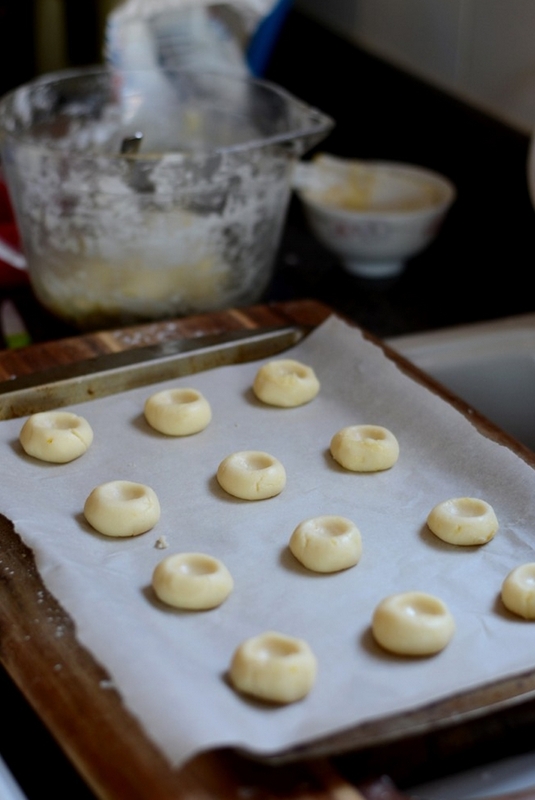 I’m sure you can freeze these cookies for up to like, 2 months or keep the dough in the fridge for up to a week too! 1. 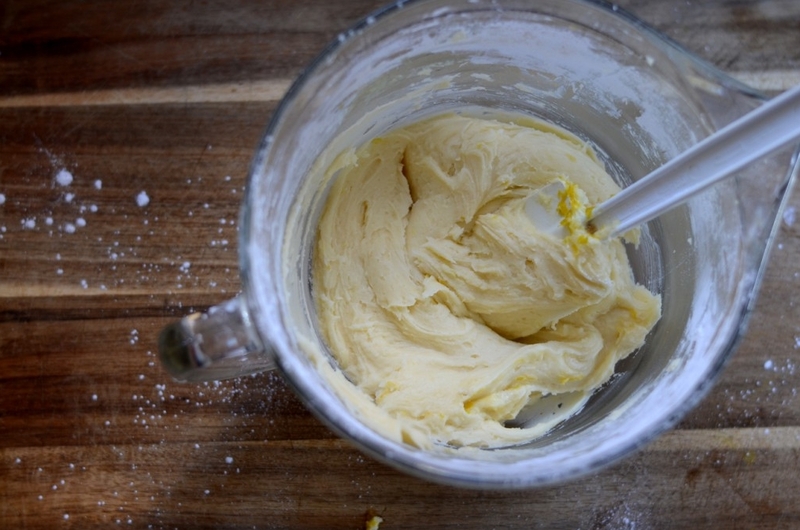 Beat butter and sugar until light, creamy, and well incorporated. 2. Add in the egg, vanilla extract, and zest of the orange. 3. Gently fold in (AND I MEAN GENTLY) the rice flour, baking powder, and salt. 4. Work into a dough, and it should take quite a while. 5. 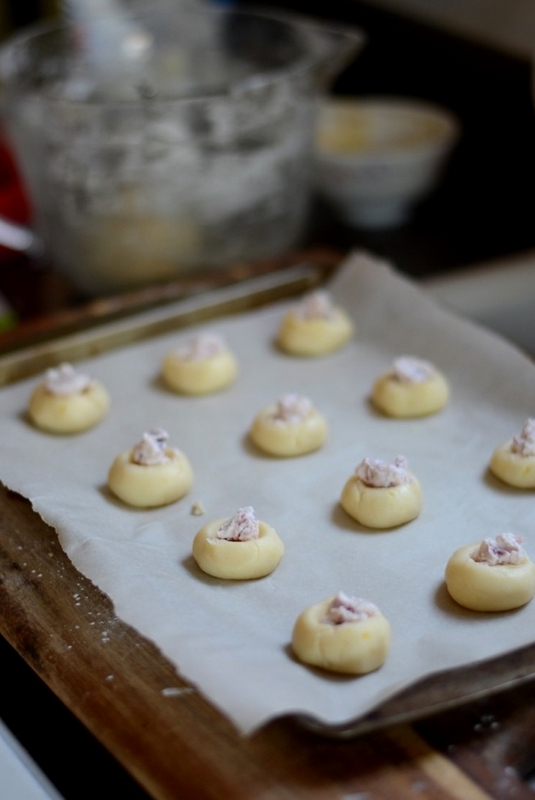 Roll out little 1″ balls and place them 2″ apart from each other on a cookie sheet. 7. Bake at 350F for 10-15 minutes. They won’t colour too much, but the bottom should be golden. Tada! Enjoy with a glass of milk while sitting around the fire, and I guarantee that you’ll be full of festive cheer and the holiday spirit!